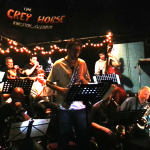 Another stonking night this Tuesday at the Grey Horse in Kingston. 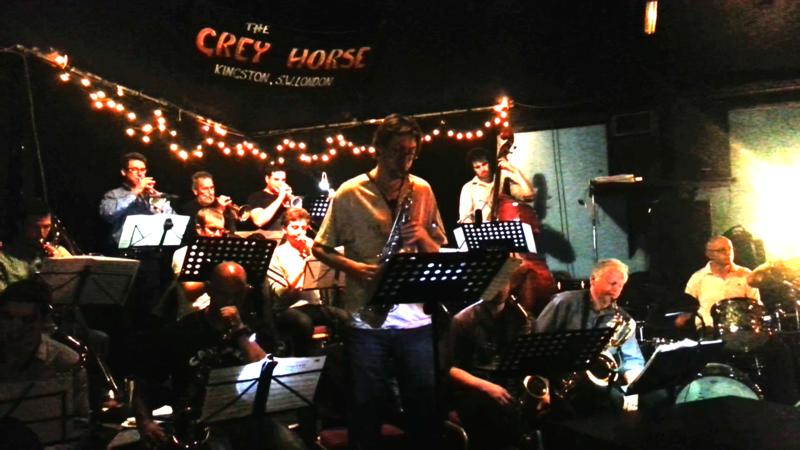 The John Bird Big Band was at full strength and on blasting form. Among many highlights was this superb extended solo from Aaron Liddard. A hugely enjoyable evening, but as is so often the case, the band outnumbered the audience. This really surprises me. I have seen big bands all over the world, and particularly in New York, where I caught the Mingus Big Band most Tuesdays, and the Vanguard BB on the few Sundays when I could. This collective is easily their equal, and it’s by a mile the best outright music in London on Tuesday nights, and the best value (it’s free) anywhere. If you are around and you like jazz or any kind of music really, you owe it to yourself to call by one Tuesday. by Pat Metheny, arranged for big band by Bob Curnow.